NSW police issued major defects and infringements after a rigid combination crashed into a trailer. 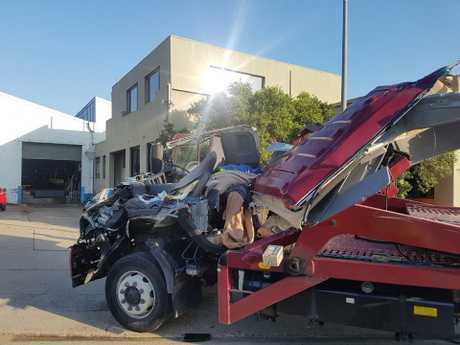 A NEW South Wales police investigation into a severe crash which "ripped" the cabin away from the vehicle resulted in major defects and infringements issued to both parties involved. 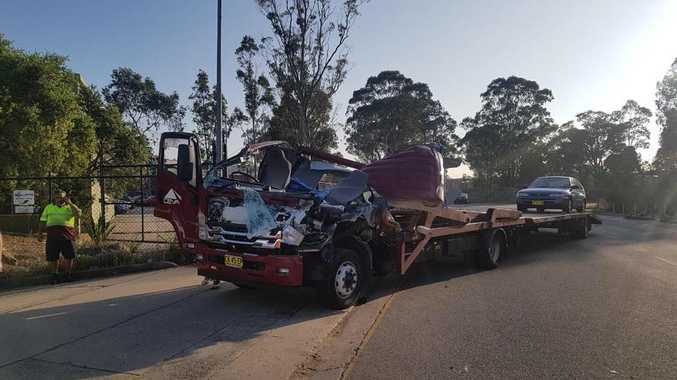 Police said the crash occurred when a driver of a rigid car carrier collided with an incorrectly parked trailer along Birmingham Ave in Villawood at 5.30am on Friday, April 6. The driver managed to free himself from the vehicle before help arrived. Police arrived shortly afterwards and the driver was taken to the Liverpool Hospital for treatment. Police said whilst waiting for emergency services, the owner of the trailer and other staff removed the incorrectly parked trailer and a second incorrectly parked combination, moving the vehicles into legal parking arrangements. Officers attached to the Traffic Task Force, alongside RMS Heavy Vehicle Inspectors, assisted with the investigation. They issued six defects for six units inspected. The trailer involved in the collision was red labelled and grounded due to damage to the side loader. Meanwhile, three major defects were issued with yellow labels fixed to trailers and prime movers for a range of safety defects including bald tyres, broken twist lock handles, damaged support standing legs, chassis cracks, cracked skid plate at the king pin and damaged seats. Two minor defects were also issued for inoperative lights (brakes/headlights), missing drive shaft flange bolts and cracked exhaust pipes. Police said further action was to be taken in relation to the defects observed. 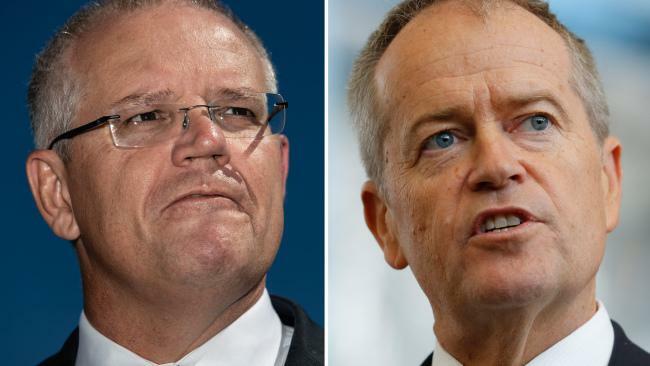 The driver of the rigid combination also had his work diary checked by police, who found 14 yellow record pages contained within the diary, as well as 25 work diary pages being removed due to entries not being completed, pages not signed, days not being identified and time zones bot being noted. Two infringement notices will be sent to the driver for failing to return work diary pages to his record keeper within 21 days and failing to complete his work diary as required after starting work. All vehicles defected were further directed to Heavy Vehicle Inspection Stations to have their defects cleared.